This product was added to our database on Thursday 30 August 2018. 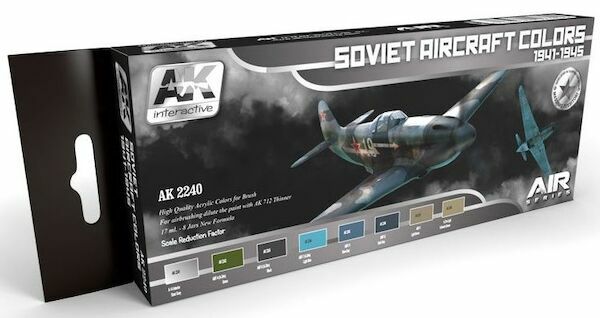 With this set the modeler will have the 8 essential colors to cover the Soviet camouflage used during the Second World War. Includes the colors for the variants introduced in the July 1943 instructions.